On this tour of Chicago’s North Side, take a narrated coach drive with your guide through the city. Travel by the striking Richard J Daley plaza with its masterpiece, the Pablo Picasso sculpture, created specifically for Chicago. 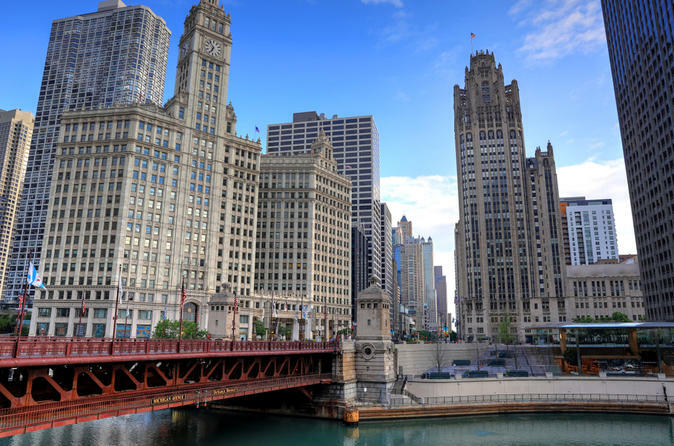 Ride down Wacker Drive, the double-decked street that winds its way through the city. Then, travel over the Chicago River, made to flow backwards by one of the world's greatest engineering feats. See the famous Wrigley Building, the Magnificent Mile and Michigan Avenue, featuring some of Chicago's most exclusive stores. Spot Chicago's elegant seven-level shopping complex, the renowned Water Tower Place, alongside one of the tallest buildings in the world, the John Hancock Center. Continue through Lincoln Park, boasting one thousand acres (404 hectares) of lagoons, lush greenery, flowers and even a zoo! Take some time to explore the park’s conservatory before passing by Wrigley Field, home of the Chicago Cubs. Visit the Chicago Botanical Gardens and a historic Indian totem pole.